In a multi-pet, multi-species household, a common frustration is keeping meal time separate. After all, can you blame your dog for being interested in the meaty, odorous food your kitty receives? This problem is especially hard for families that are unable to supervise breakfast, lunch, and dinner. Additionally, certain pets may have special dietary needs, such as prescription foods or limited portion sizes. However, a combined dog and cat feeding station can be hard to find For every pet owner who has ever proclaimed, “there has to be a better way!” the good news is that now, there is. 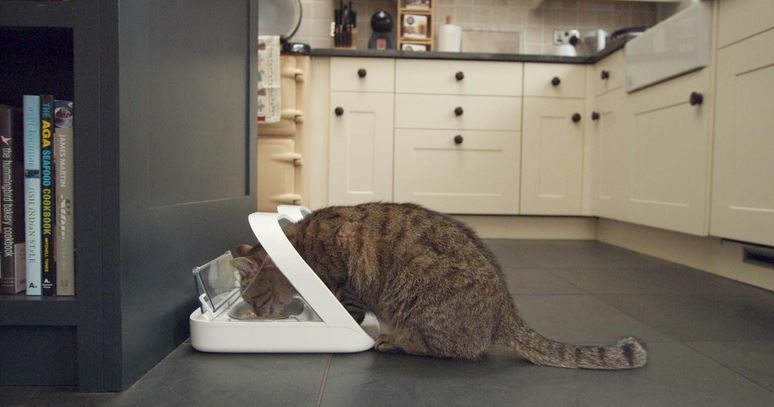 With the WonderBowl, you can avoid the problem of your dog stealing your cat’s food and vise versa entirely. This smart bowl has a mechanical lid that only opens when the animal wearing a specialized collar comes near. The infrared technology is sophisticated and guaranteed not to accidentally feed the wrong animal. You can purchase multiple WonderBowls to ensure your combined dog and cat feeding station is specific to each pet in the house. 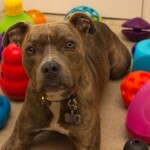 Or you can use one bowl for a pet that has special needs, such as a prescription diet. The bowl is stainless steel ensuring easy clean-up, and the unit itself has a non-skid design. 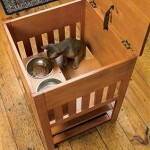 This technologically advanced feeding station uses your pet’s microchip to administer feedings. 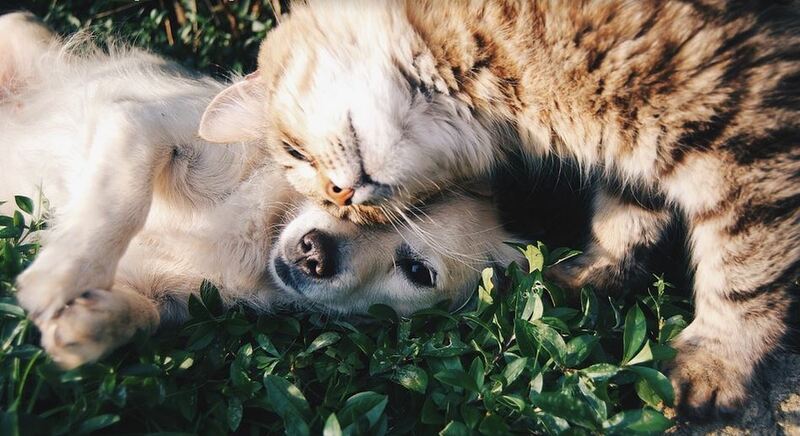 You simply register the chip with the manufacturer, or place the provided radio frequency collar on your cat or dog. The SureFeed bowl has an airtight lid that is suitable for use with both wet and dry foods. Flies, gnats, and other bugs will not be a problem if the food has to be left out for an extended period of time. 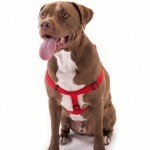 While this option may not solve your multi-pet problems, it is a great solution for any pet that requires multiple portion-controlled feedings per day, such as a puppy or a dog on a diet. There are five compartments for multiple feedings. You simply program when you would like feedings to occur, and the spinning bowl rotates at the designated time to reveal the meal. You can even record a personal meal call, telling your pet it is time to eat. The tray is dishwasher safe and easy to clean. Living a busy lifestyle in a multi-pet household does not have to be a struggle. 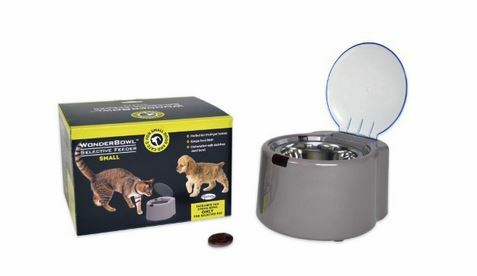 A combined dog and cat feeding station is great even if you are at home during the day, providing you peace of mind that you didn’t forget a scheduled feeding. At present, options for multi-species feeding are still limited. Ideally, the feeders with microchip or infrared technology (both of which are sure to make your pet feel like James Bond!) 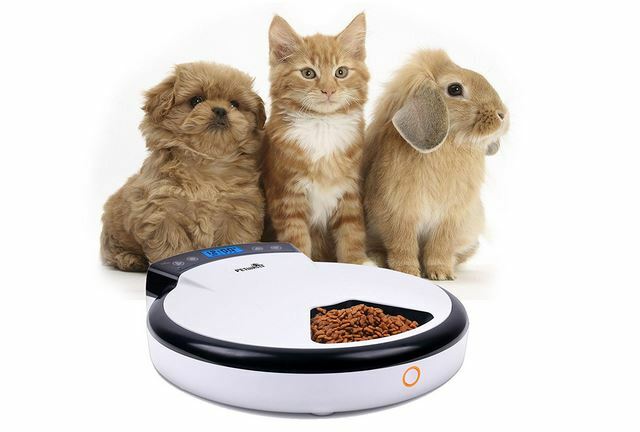 would be more practical if they contained multiple meals, like the TD Design Automatic Pet Feeder. However, as technology continues to improve, so will these choices. What are your favorite solutions for meal time in your multi-species household? Are there any gadgets left off this list?